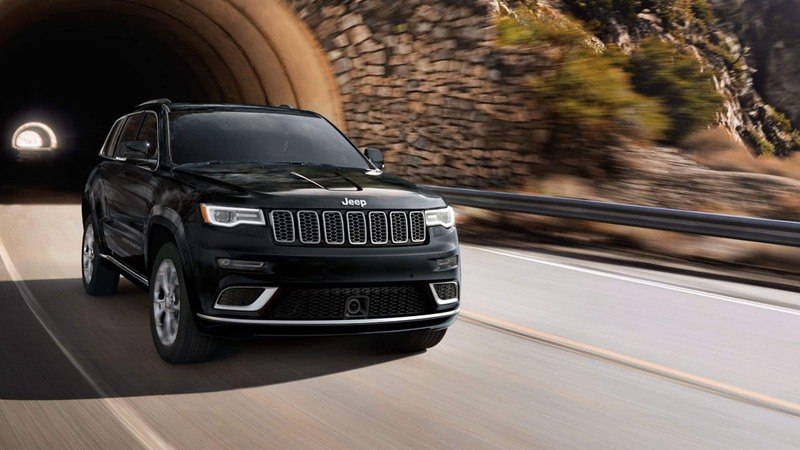 The 2019 Jeep Grand Cherokee and the 2019 Ford Edge are two of the most popular mid-sized SUVs on the market. When interested in a new SUV, buyers often start and end with either of these two vehicles. Both are two of the most well-designed SUVs in history, but what sets them apart? Read our comparative review below to find out! The 2019 Jeep Grand Cherokee is fitted standard with a 3.6-liter V6 engine rated with a horsepower of 295. One of the upgraded engine configurations for the Grand Cherokee is a 5.7-liter V8 engine rated with a horsepower of 360 and 390 lbs.-ft. of torque. The final trim level for the 2019 Jeep Grand Cherokee is powered by a supercharged 6.2-liter engine paired to an upgraded eight-speed transmission. This engine is rated with a horsepower of 707 and 645 lbs.-ft. of torque. Additional engine enhancing features include an adaptive suspension system, Brembo brakes, and high-performance tires. The 2019 Ford Edge comes standard with a 2.0 turbocharged 4 cylinder EcoBoost engine with a horsepower of 245 and 280 lbs.-ft. of torque. The 2019 Ford Edge's top-tier engine configuration is a 2.7-liter turbocharged V6 engine rated with a horsepower of 335 and 380 lbs.-ft. of torque. Optional driving features for the 2019 Ford Edge include a sport-tuned suspension, variable-ratio steering, and a well-rounded set of safety features. The 2019 Jeep Grand Cherokee has standard tech features such as Apple CarPlay, Android Auto, a six-speaker audio system, rear parking sensors, keyless ignition, a 115-volt household-style power outlet, dual-zone automatic climate control, remote start, a power liftgate, leather upholstery, and heated front and rear seats. The 2019 Grand Cherokee is well-known for being able to transform into an off-road capable vehicle. This year's Grand Cherokee continues to build off of that with features like four-wheel-drive low-range gearing, selectable terrain-based torque settings, hill ascent and descent control, and underbody skid plates. The 2019 Ford Edge features a well-rounded infotainment system thanks to features like Bluetooth connectivity, a Wi-Fi hotspot, a six-speaker audio system, and a 4.2-inch screen. Safety features inside the 2019 Ford Edge include blind-spot monitoring, lane-keep assist, automatic braking, and forward collision warning. Top-tier trim levels see notable tech upgrades such as a 110-volt household-style power outlet, a 12-speaker audio system, a navigation system, and HD radio. Both the 2019 Ford Edge and 2019 Jeep Grand Cherokee are fantastic choices for any driver who is looking for a modern SUV with all the latest equipment. Each vehicle is equipped with an impressive line of features that contribute to a highly satisfying driving experience. The technical features inside each vehicle are nearly identical. The difference between the 2019 Ford Edge and the 2019 Jeep Grand Cherokee can be found under the hood. While the Ford Edge offers some highly fuel-efficient and powerful configurations, the Jeep Grand Cherokee offers a much more powerful overall driving experience. 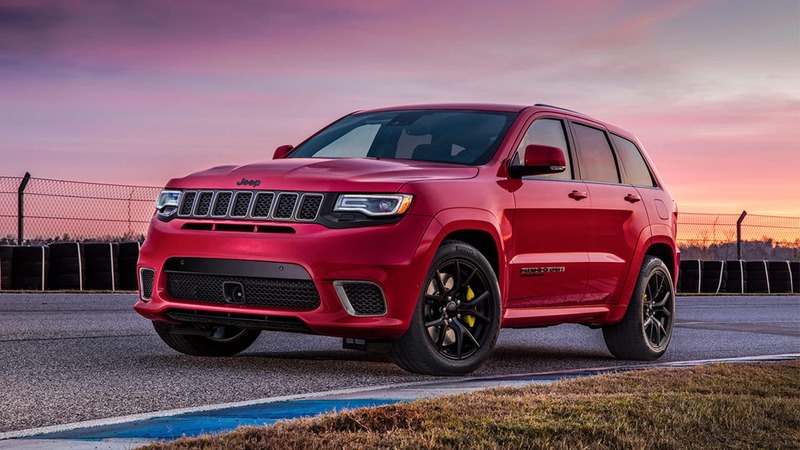 Thanks to an overall more-powerful line of engines, as well as a set of off-road oriented features, the 2019 Jeep Grand Cherokee is our choice out of these two vehicles.